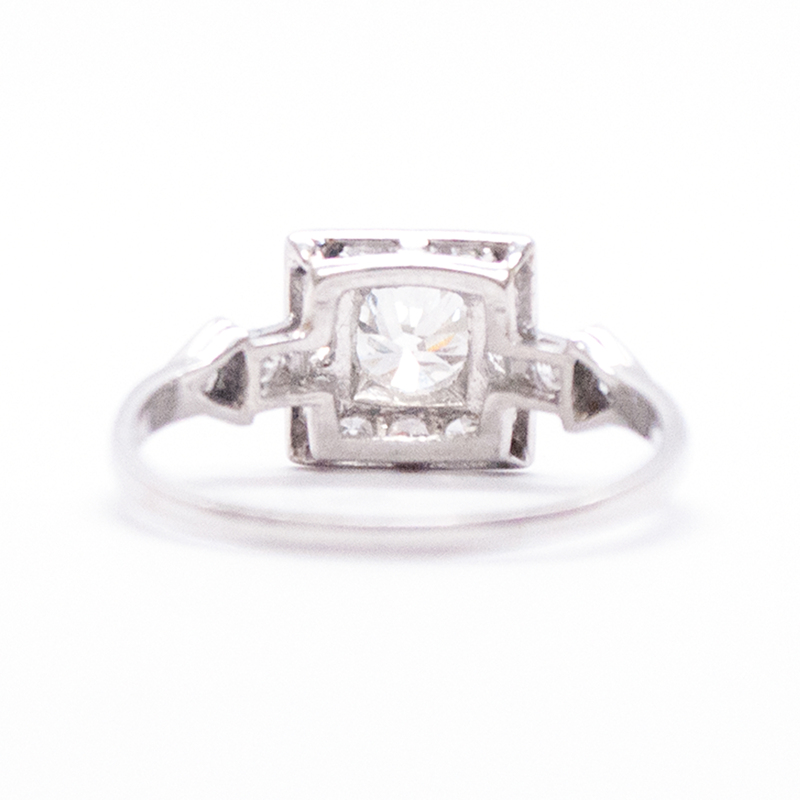 This Art Deco ring features and old European cut diamond in a four corner setting. 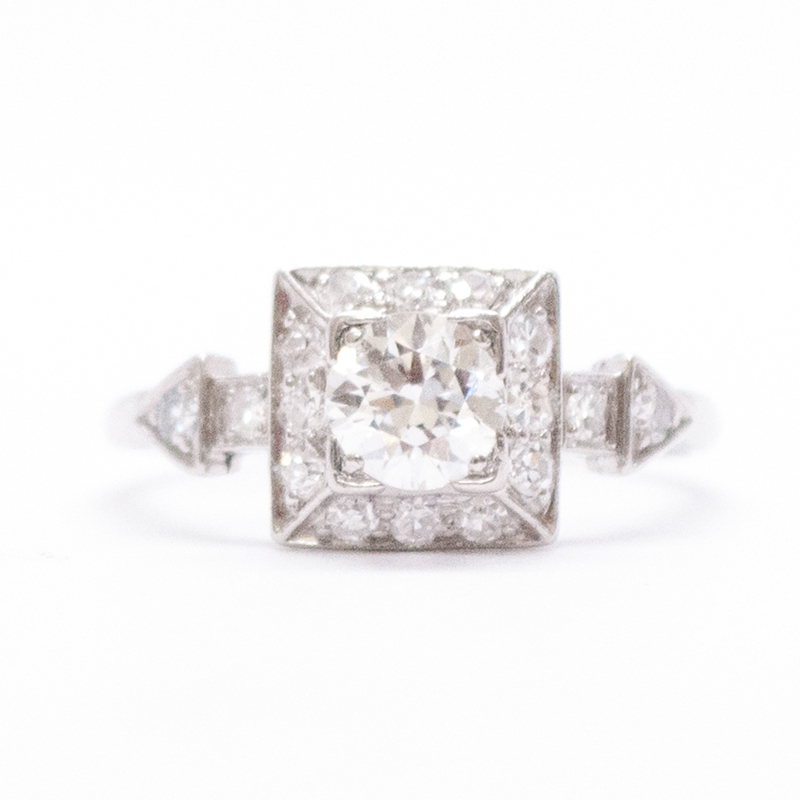 This diamond is framed with h twelve, bead set single cut diamonds in a square box setting. Each shoulder features a two, bead set single cut diamonds. 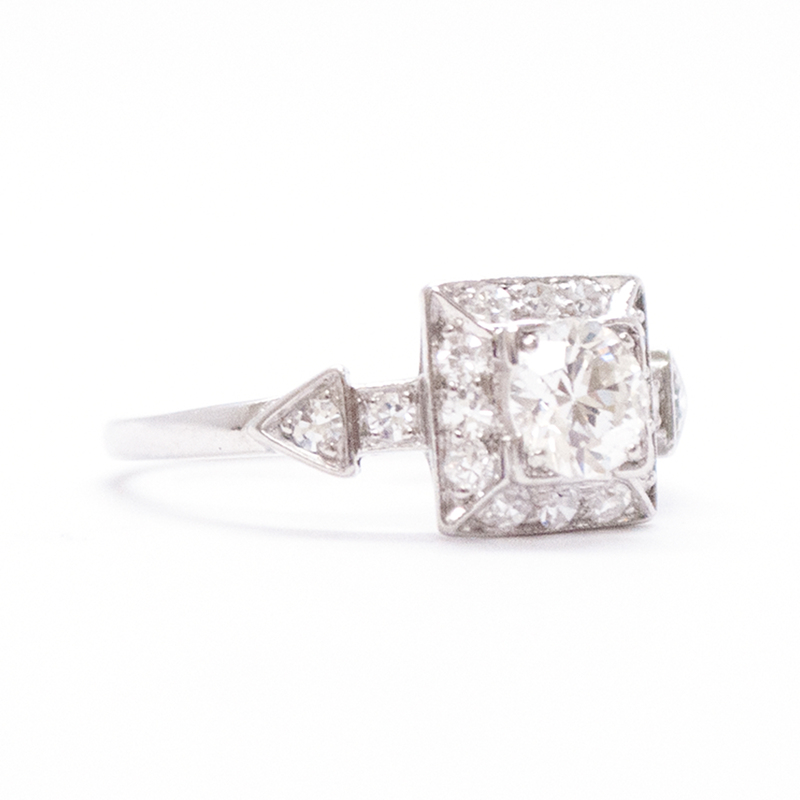 One in a square setting followed by one in a diamond shape setting. 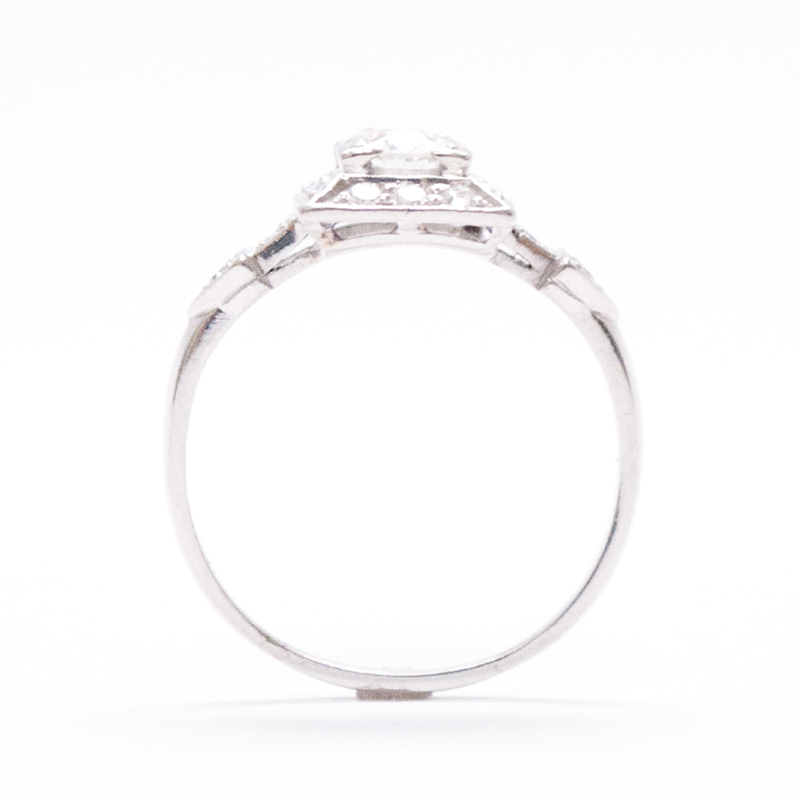 This ring is accented with fine migraine detailing. Identified with markings of "10% IRID PLAT."